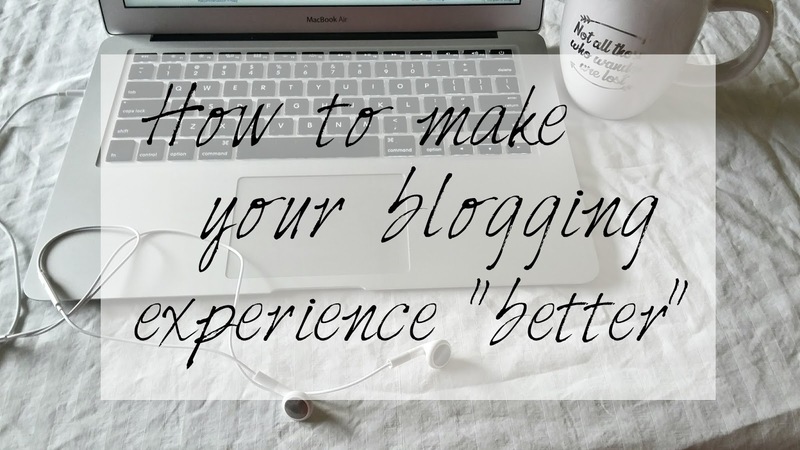 How to make your blogging experience "better"
So without further ado let's get into things! #1. Don't force yourself to blog. This is one that might seem slightly obvious but it's so, so important. Forcing yourself to blog can result in some not-so-quality posts, which you don't particularly want. There's no shame in taking a hiatus! Everyone needs a break every once in a while and it helps a lot. #2. Be interactive with other bloggers through Twitter! This is especially important if you're a little bit of a new blogger. Start conversations with other book bloggers! Not only is it a fun way to share your love of reading, but it's also a possible way you can bring more traffic to your blog. #3. Don't feel like you have to interact with people online 24/7. This kind of goes along with number one. Socializing on Twitter can be great fun but only if you don't feel like you have to be their. People understand that you have other things to do outside of being a blogger. Your online friends from social media won't abandon you just because you don't reply immediately, or because you're not online for a few hours. #4. Remember that work/school comes first. Number four kind of ties into everything else. Work/school can be SUPER stressful, if you ask me. Blogging should be a way to escape the stress of everyday life, not something that makes you more stressed. If you're feeling stressed out by blogging then, once again, I suggest taking a hiatus. Please remember that your blog will still be here if you take a break, but other life-opportunities may not be. I wish everyone best of luck with their own blogging.